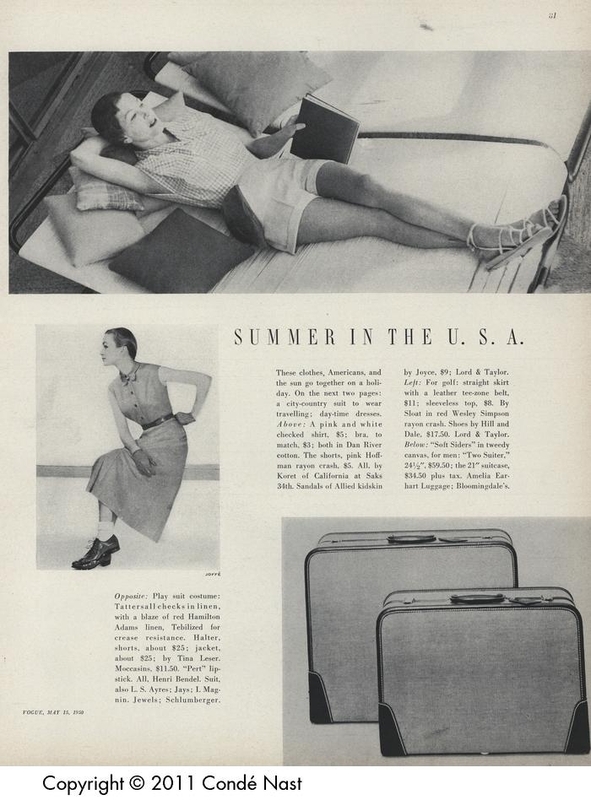 “Summer in the U.S.A.” in Vogue, May 15, 1950. In the 1950s rules for women’s dress were highly particular and often very formal – there was the “right” kind of dress and fabric for every occasion. The exception is summer fashion from the decade when the rules seem to have become more relaxed and women’s dressing much more casual. The casualness of these outfits works because the focus is on American sportswear (I doubt the same reclining poses and laissez-faire attitude would have worked with the Paris collections from that summer!). Enjoy your summer! Photo by Horst. 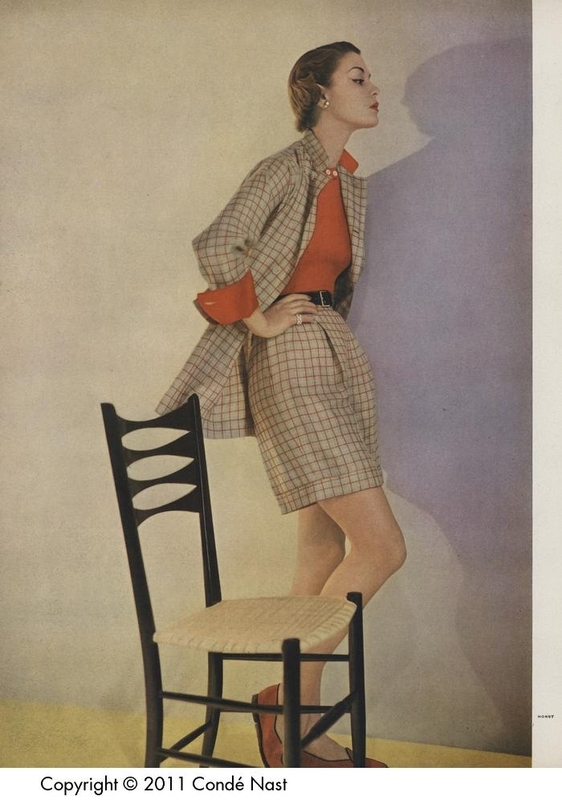 Playsuit costume: Tattersall checks in linen, with a blaze of red Hamilton Adams linen, Tebilized for crease resistance. Halter, shorts, about $25; jacket about $25: by Tina Leser. Moccasins $11.50. “Pert” lipstick. I love how nonchalant the women on the lounge looks. Definitely a break from typical model poses of that era.